The Meditub 2953-WCA is constructed of the highest grade fiberglass composites with a gel coat finish for beauty and durability. 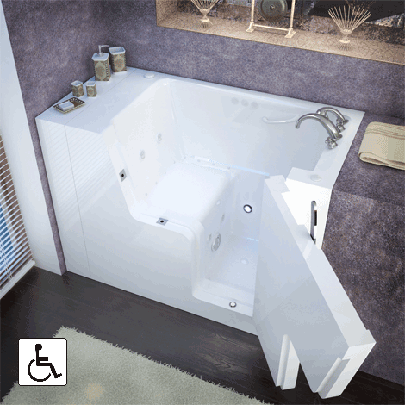 The Slide-In Tub is perfect for new construction and or retro fitting because of its industry standard size. It comes with a stainless steel frame for a long lasting strength and adjustable feet for easy installation and leveling.